You probably know this by now that the act of cleaning the room is not something you regularly do. This is due to all the risk involved in cleaning the roof, plus the bustle and hustle on the streets. Cleaning the roof might probably be the last thing on your mind, and frankly, there are other essential things on your mind. Even though you don’t want to clean your roof, it cannot be ignored, no! Your roof will get dirty over time, and if you don’t clean it, it will be to your detriment. So, therefore, so long as the dirt is still on the roof, it won’t go no anywhere. 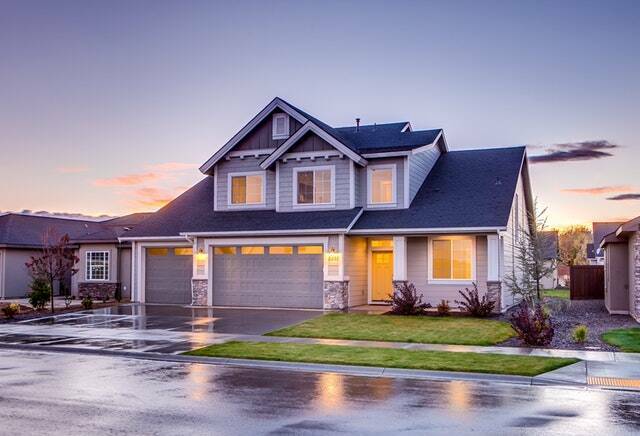 Not cleaning your roof when you should make the dirt pile up, which will then cause the paint to peel off, and reluctantly making your home look dingy, making your house an eyesore, for not just your neighbors, but also the passers-by. The look of your home might create an impression in the minds of these people, and you know what they say about first impressions. And the chances are that you might never get a chance to make a second first impression. Also, it is essential to understand that, if you don’t clean your roof, then you might end up paying a lot of money in repairing it, and you don’t want that. Yes, you might have it in mind that once the rain comes, it will wash off the dirt. This fact is true, but you should also bear in mind that, the roof is a very conducive environment, where algae and fungi and moss can thrive. Not only is it hard for the rain to wash these things off, but it also helps the fungi and moss and algae to grow well. Before you know it, the entire roof is covered in moss and algae. Also, these parasites also damage the roof by eating up the woods on the roof, thus, reducing the lifespan of the wood (and the roof ultimately). When these molds grow also, the reflection of the sun ray will be hampered, and the moss will need to absorb the sun rays so its nutrient, making your home hotter, therefore, that you would have to spend more money on putting a cooling system in your home. Following logically, from the foregoing, it is rather very economical to clean your roofs every once in a while. Do: it might be that cleaning your roof is one of your priorities on a Sunday, it is, therefore, imperative that you take precautions. For most people, they feel cleaning a roof is simple and all about throwing soap and water on the roof, then wash it off, I mean how hard can it be right? However, it is good to possess a mentality that it is not just “washing the roof,” you need to ensure that you are safe while doing it. So, “do” ensure that you have all the safety gear and tools, including a ladder, a long hose, and good polythene overall. Don’t: if you feel cleaning the roof by yourself is risky, (or even with someone), then don’t take any chances. Falling from the roof of your home might not be fatal, but it can be brutal, so ensure you put your safety first. Do: checking the roof for any damage, before you commence on cleaning the roof is essential. You don’t want your home to be flooded now, do you? It is good to have someone with you, to also check with you because you can never be too sure. Once you find any leakage, consult a professional to handle the situation. Don’t: do not put off, repairing the leakage or any other damages you might find on the roof. It is cheaper to repair small damage than when it gets bigger. Do: it is most definitely your desire that you have a clean room, but you don’t want to damage the room in the process of cleaning it, which is why you would need to clean it softly. Yes, rain might clean your roof, but if and when you don’t clean the roof, you will have to clean the stains that come with the natural cleaning. When cleaning the stain, you might want to scrub the roof hardly, or with so much pressure. Sometimes you might even use pressure water, while it might get the work done, it may also damage the roof, and you would not like that. If for instance, you have a loose shingle on the roof, using the pressure water will only cause it to tear up the more, thereby dislodging the shingles. So all you have to do in this instance is to use low-pressure water that comes in high volume. Don’t: whether or not you notice that the shingles are damaged, avoid using a high-pressure washer on them, they are costly to repair. Do: always remember to look around the areas surrounding your roof. It might not seem like a big deal, but the truth is, most people ignore it. Some of the reasons you should do this are; your house might be close to another’s home, and you don’t want dirty water in another person’s compound. Or if the products you’re using are damaging crops, then you might want to limit the tenacity in which you use to wash the roof. If you assess the surrounding, it will help you know where to start and where to end. There might also be electrical lines close to your roof; you might want to avoid that. Don’t: do not ignore the landscape you find yourself in; this will help avoid accidents. When do you clean your roof? Do: you do not have to clean your roof every day, but you would have to pick a day to suitable, to clean the roof. A calm and cloudy day is the best time to clean the roof, where the rain isn’t threatening to fall, and there is no trace of strong or semi-strong winds. Don’t: do not work in extreme weathers; whether cold or hot. Working in these conditions will damage the shingles. If you want to use bleach, then work on a sunny day, the sun makes the bleach evaporate faster. Do: it is not easy to do, but it can be done. Use chemical to get rid of molds like algae and moss. It is also essential that you cut off branches of trees that extends to your roof. Don’t: do not let dirt pile up, it will cause the damage, which sometimes may be more than your pocket can handle. It is vital, and of utmost importance, that caution is used when cleaning your roof. Also, the cliche “prevention is better than cure” should have practical effects when cleaning your roof.